28 yrs old malay girl. A novel collector / Seller. 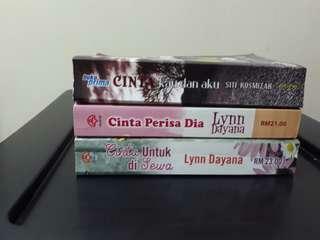 Second hand malay novels. Still in good condition 9/10 rating. RM 10 each / RM 40 whole set.